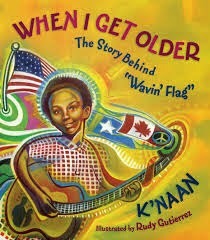 Rudy Gutierrez is an artist who has illustrated many children's books, including K'naan's When I Get Older: The Story Behind "Wavin' Flag", a winner of the 2013 Children's Africana Book Award. He teaches at the Pratt Institute in New York, and he is based in New Jersey. Q: How did you end up illustrating When I Get Older, and what inspired your illustrations? A: I was contacted by Alison Morgan of Tundra Books who had seen my work and apparently thought that I would be a good fit. I'm first inspired by what I would call my purpose and that is to lift the viewer's spirits and to inspire so that one can feel his or her own divinity or validity, which is why I do art in the first place. As much as I love to create I don't feel that my purpose is to do art for art's sake or for what I would call aimless creativity. I am in no way saying this is what art should be for anyone else but rather what it is for me. I feel a sense of responsibility to use my art in this way whenever it is possible. In a humble sense if I can speak for some who maybe cannot speak for themselves then this is the highest that I can aspire to. As far as the book goes, of course I was inspired greatly by K'naan's story of growing up and the challenges as well as the relationship with his grandfather, which showed the beauty in the progression of spirit that runs through us. 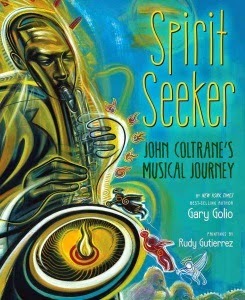 In this case K'naan clearly has the poetry of his grandfather as an inspiration and a thread to the ancestors as well, and it is clear that he sees this power in the spreading of the word as a sense of responsibility to bring forth in the present day in his own way which manifests as Rap and then became the basis for the written words for this book. He tells of how his famous song "When I Get Older" originated through the inspiration of his grandfather's words, which of course grew from the spirit those before him. 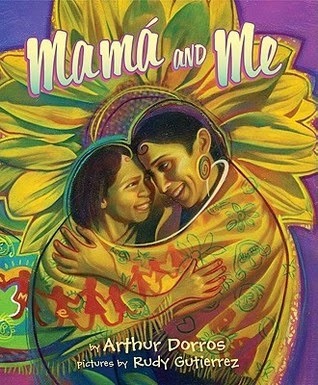 Q: Do you work closely with the authors of the books you illustrate, or do you work separately? A: Typically it is a separate process, which was the case for this project. Alison Morgan had set up a meeting in NYC for K'naan and myself but apparently he was recording the night before and ended up not being able to make it. I was disappointed not to meet him and feel his vibe, which for me goes a long way towards inspiration and feel for the art that will come. Instead, I listened to a lot of his music, watched his videos, and checked out his interviews, and what I found was a very positive conscious young man holding a wisdom that was clear with a sense of interpreting his experiences. This inspired me and helped supply me with energy towards making art for the book. We have not met or communicated physically, although his written words of course connected us. Q: You've illustrated books for children of different ages. Do you have a preference at all, and how much do you think about the age of the intended audience as you create your illustrations? A: All age groups are equally important to me in the children's realm and out of it. Each have characteristics that I can grab onto to have some fun and use for communicating in whatever area that we talk about. I don't believe in borders, labels, and so-called categories that create boxes around us that function to limit our reach and fulfillment of our purpose. 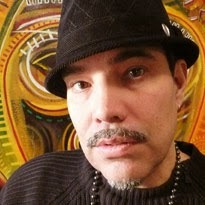 Q: Your website states: "Rudy Gutierrez's art has been described as Wall Medicine, ancient yet contemporary, urban in a sense and musical in feel." Does your work process differ when you're illustrating a book rather than creating a stand-alone work of art? A: The process and technique can vary on art as a stand-alone piece from one to another depending on how much information that I want to give for the purpose of communicating and certainly the approach is somewhat different when doing a book. When doing art for a book there is text that has to be followed somewhat but I also think that it is important to get "off of the page" as well. So interpretation and imagination become just as important as long as it is following the story. The difference between stand-alone pieces and a sequential bit of storytelling is that all of the information that you want to convey will not happen on one page but will take place over the course of the book with ebbs and flows in a sort of cinematic sense. Another important reality is that when doing a book one must remember that it is not just about your art but you have a responsibility to the story, writer, and publisher, so in fact this becomes a very collaborative process. 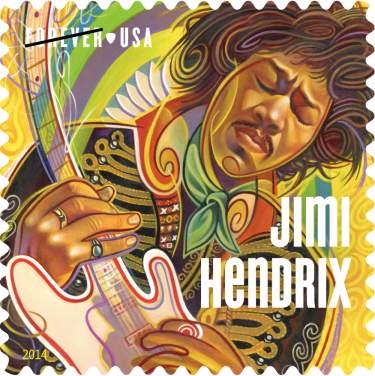 A: I recently did a stamp for the USPS of Jimi Hendrix that has just been released, and this was very exciting and much fun for me to work on. They did a video interview that shows some of my process that can be viewed at http://uspsstamps.com/stories/channeling-jimi. I also just finished a project for Los Hermanos Wine that will hopefully be seen later this year that will include a video as well. Right now I am working on a book cover dealing with Afro-Cuban Spiritualism that I really can't say much more about and there are another couple of projects that I am waiting on to see if they will happen. I am also constantly working on personal work for the idea of doing gallery exhibitions. This work is different than what I typically do for a children's book and somewhat different from my editorial or book cover work. In addition I hope to start shopping around stories that my wife, DK Dyson, the renowned musician/vocalist, has written for children that will feature my art. I also am blessed to be teaching at Pratt Institute, my alma mater, and I teach a spring graduate class at The Fashion Institute of Technology. So, whether it is in children's books, murals, magazines, gallery walls, or classrooms, the aim is the same, and that is to uplift and inspire, to assist others on their path, and hopefully help them to understand that who they are is as important as everyone else!